Within Fives, the Cement | Minerals business line specializes in the design, supply and installation of core process equipment and complete plants. The Group's expertise includes technologies in crushing, grinding, pyroprocess, combustion and gas treatment, as well as turnkey project management and customer services. Fives is recognized in the cement & mineral markets as a provider of pioneering and innovative solutions with the highest levels of performance, product quality, energy efficiency and emission controls. The Group offers a wide product portfolio using innovative proprietary technologies, such as the FCB Rhodax® crusher, the FCB Horomill® grinding mill, the Pillard NovaFlam® and PrecaFlam™ burners and the Fives TGT® and Sonair™ process filters. From the initial project definition to the plant commissioning, Fives provides tailor-made solutions, maximized performance, on-time delivery and within-budget execution. Fives also offers plant site services to support customers in achieving the highest levels of production line availability, maximizing efficiency and maintaining plant performance throughout the lifecycle. 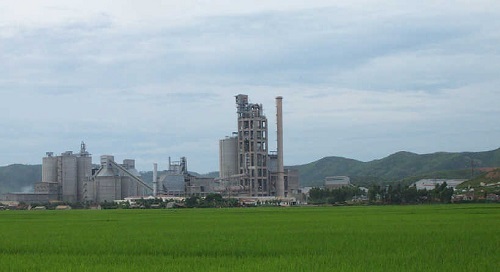 With 80 years of experience in industrial engineering and contract execution, Fives Cement | Minerals dedicated teams – 500 strong in France, Spain, Germany, Canada, the USA, Mexico, India, Brazil, China and Russia, - have proven operational excellence in dealing with major projects worldwide.